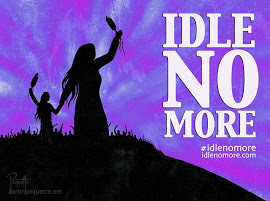 St. John’s, NL – The Occupy NL General Assembly is encouraging the public to join in a demonstration on Friday November 4 at the Supreme Court on Water Street, starting at 10 AM. Occupy movements across Canada will demonstrate at their judiciaries to send a message to the Canadian government regarding the Omnibus Crime Bill C-10, which is being rushed through Parliament without adequate public input. Instead of focusing on prevention, treatment, and rehabilitation, the Bill focuses on punitive measures. The cost to Canadians will be in the billions of dollars, which will fall on the shoulders of individual provinces, and the mandatory sentences will fill new prisons with people who should not be there. Investment in preventative measures are far more effective than incarceration. OccupyNL is demonstrating to raise awareness about the broad scope of this bill and to insist that the government stop this bill. Instead of paying to remedy the consequences of crime, we need to treat the underlying causes of crime.
. Signatures will be delivered to Parliament by MP Jack Harris in the next two weeks. 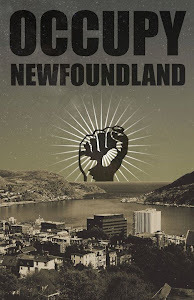 Occupy NL is part of the global Occupy movement, which has spread to more than 80 countries worldwide. Protesters have occupied Harbourside Park and are building a community that embodies the societal values its members feel are eroding under the current economic system. Since its inception on October 15,the community has received support and donations from hundreds of citizens, faith community leaders, the Federation of Labour, the Fisheries union, the City of St. John’s, and countless others. Many say they will occupy the park until they see adequate positive change.